This afternoon, while I was at my vet's office, a sweet little cocker spaniel came up to me for a cuddle. He looked really old. I thought he must have been at least 12 or more. Anyway, his owner and I started chatting and I discovered that he was only 6 years old but was suffering from epilepsy, which clearly has taken it's toll on this poor dog. I personally have used the Thundershirt on a couple of my rescued dogs that were critically ill and saw amazing results. 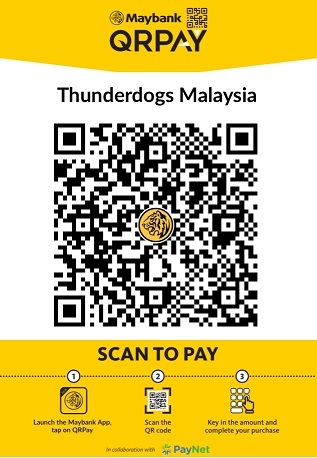 I also knew that the Thundershirt has been used by many trainers and holistic practitioners overseas to help in the healing process of dogs that were seriously ill. Anyway, in this post, I am republishing an article by Mary A Gilbreth (Ph. D) in which she describes how the Thundershirt was used to help reduce the effects of seizures in epileptic dogs. Please note that the Thundershirt is not to be used as a replacement for medications prescribed by your vet. by Mary A. Gilbreth, Ph.D.
As the owner/care-giver of a dog who has experienced seizures since 2004, I am very familiar with the medical and emotional challenges presented by this complex condition. While a caregiverʼs primary focus is controlling the frequency of seizures, a second yet equally important focus is reducing the overall stress and anxiety of our epileptic pets. Maintaining overall health is still another important focus since many epileptic animals take high doses of anti-seizure medication(s) on a daily basis and usually do so for the rest of their life. In addition to the seizures themselves, many epileptic dogs exhibit stress and anxiety behaviors such as general restlessness, periods of pacing, interrupted sleep during the night, a constant search for things to eat, and periods of neediness, staying “extra close” to their care-giver. Unfortunately, and similar to the seizures, these stress behaviors often persist and/or re-appear even after a dog begins a regimen of anti-seizure medication(s). mild to moderate seizure activity/symptoms (e.g., twitching of eyes, ears, ” and/or mouth, involuntary jerking of the head and paws, snapping ” of the jaws, staggering and loss of balance). 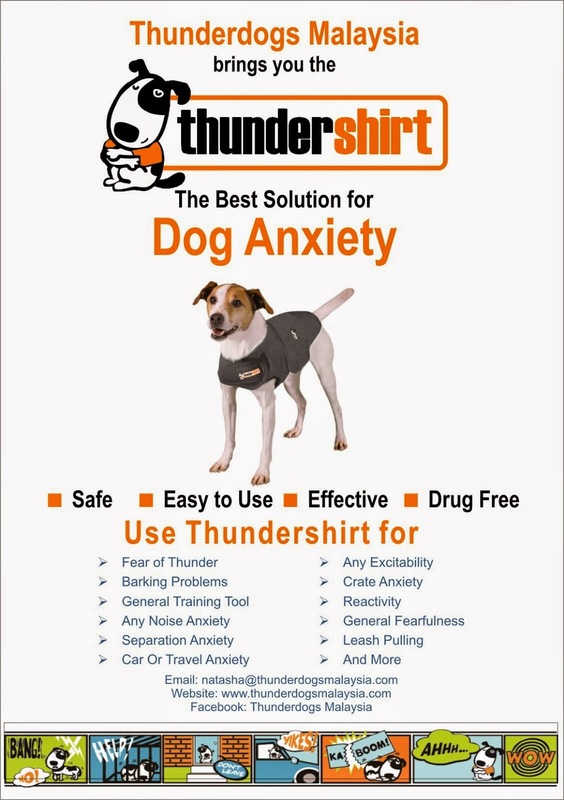 At the first signs of stress behavior, seizure activity, or after a grand mal seizure - place the Thundershirt on your dog (details on Thundershirt packaging) and keep it on him until the stress behavior or symptoms diminish (e.g., 30 minutes to overnight). Please remember YOUR energy and mood affects your dog. Please do your best to stay calm and relaxed during your dogʼs seizures and stress behaviors. Also, be sure your dog is already accustomed to and enjoys wearing his Thundershirt. For post-ictal phase, and for mild seizure symptoms or mild stress behavior (e.g., twitching of ears, eyes, minor panting, minor pacing) – simply wrapping your dog in his Thundershirt will often suffice. Within several minutes, your dog should settle and might also take a nap. For restlessness during the night - have your dog wear his Thundershirt to bed at night (doggie pajamas!). Experiment to see how many nights a week work best for your dog. For prolonged post-ictal phase, and for moderate to intense seizure symptoms or stress behavior (e.g., loss of balance, stumbling, odd gait, jerking movements of the head, limbs, jaws, crouching, prolonged pacing) – place the Thundershirt on your dog, and help him become engaged with a treat-filled2 food toy. My current choice is Kongʼs Wobbler3, its movements are very engaging, the treats dispense with relative ease, and the “jingling” sounds of the dry treats inside seem to really capture the dogʼs attention. To see real-time before and after effects of a Thundershirt and a Kong Wobbler on GingerPeachʼs moderate seizure symptoms, see http://www.youtube.com/watch?v=wGKjY5ukFMM. (youtube channel “plumwoodposse”, video “Focal Seizure GingerPeach Thundershirt, Kong Wobbler”). Mary A. Gilbreth, PhD, CPDT, is passionate about improving the relationships and communication between humans and their canine companions. The owner of SMART DOGS Dog Training in Van Buren, Arkansas, Mary specializes in the modification of reactive and fearful behavior but also teaches a range of dog training topics. Mary is an active member of many organizations including Association of Animal Behavior Professionals, Association of Pet Dog Trainers (State Greeter for Arkansas), Therapy Dogs International, and Dog Scouts of America (Troop Leader). She currently shares her home with five clicker-trained rescue dogs and one northern diamondback terrapin who patiently awaits his first clicker training lesson. SMART DOGS offers group classes, private sessions and seminars, and is the first clicker training facility in the Van Buren/Ft Smith AR area. NOTE: the present information is not intended to be, nor should it replace, medical advice from a Veterinarian. If your Veterinarian has instructed you to give medication to your dog during any of the situations described above, please continue to do so. Do not modify any of your Veterinarianʼs instructions without his consultation and consent. * There are many excellent food toys and puzzles on the market and you may need to try a few to find the one that works best for your dog in these situations. Introduce it to your dog when he is not already stressed or anxious.